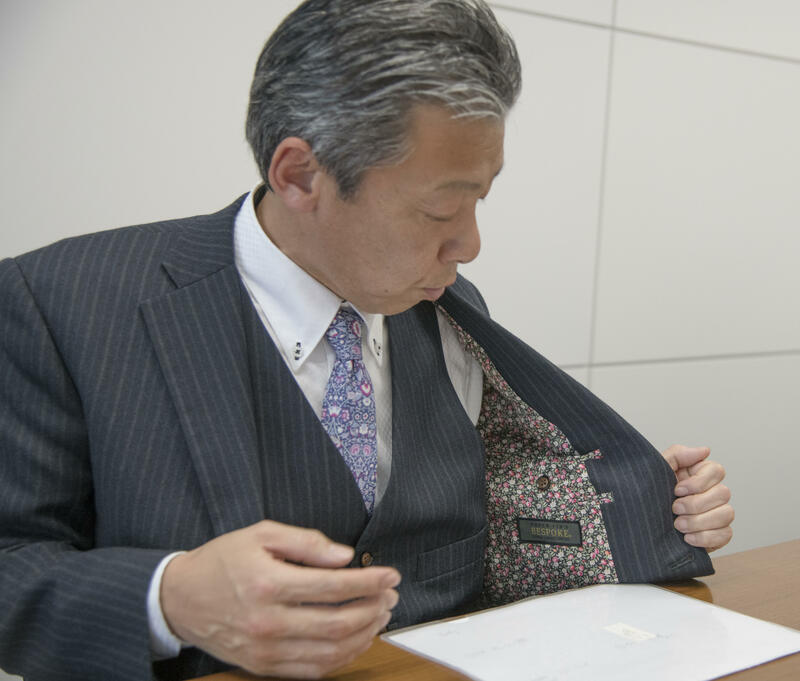 Masahiro Hayashi, President of Hikari Shoji K.K., a Fukui-based company that plans, develops, and sells fabrics for ladies' fashion, shares his thoughts on the production center, attitude toward work, and passion for materials. A retrogressive approach to maintain quality At Hikari Shoji, we have two business divisions: clothing and material. In clothing, we plan and develop fabrics to be used mainly in womenswear and sell them to wholesalers. We do not undertake production each time we receive an order, but instead we prepare and have semi-finished products in stock in advance, which we deliver promptly to the customer upon receiving an order after adding the required processing operations according to the customer's needs, such as coloring, which transforms the fabric into the condition it is in immediately before it is sewn into a piece of clothing. We undertake product planning within the company and outsource production to family-owned factories and companies in Fukui, Ishikawa and other prefectures in the Hokuriku region, where our headquarters is located. Because we do not place an order for the entire manufacturing process with a single vendor, but rather with different specialists for individual work processes, such as warping, weaving and dyeing, the arrangement and coordination of different vendors is also one of our key tasks. When we place an order, we ensure that we minimize the types of products we order, because changing what we produce on one machine every month is likely to result in variations in quality. We therefore try to produce the same product using the same materials for the longest period possible. We also ensure that we abide by the lot to stabilize the same operations. Carrying a certain quantity of stock before receiving an order may appear to be an outdated system today, when operation efficiency is called upon. It is, however, extremely difficult to assess the balance between shipping and inventory. To maintain quality and stabilize the operation of factories by filling the gap between supply and demand, I believe that we should continue to take this approach, even though it goes against the times. Use of comfortable, soft materials Currently, our main products consist of cellulosic fabrics such as Bemberg, acetate and rayon. Among them, we are particularly proud that we have the world's largest stock of cellulose filament fabrics before printing. All of these materials are naturally derived, so they are very delicate and take a lot of time and effort to handle. To be honest, they easily lose color and tend to shrink and wrinkle if washed incorrectly. They are, however, extremely soft and comfortable to touch, which I think outweighs their disadvantages. When I have my own bespoke suit made every year, I always take along Bemberg and request that they use it for the lining. The suit I am wearing today is lined with Bemberg lining that was designed for the outer material of women's outerwear. Isn't it lovely? You will only rarely see such a lining as this. And yes, it offers really exceptional comfort. It prevents stuffiness and slides very smoothly over the skin. Once you have worn it, you will not be able to wear any other lining. Bemberg is special in that it provides maximum comfort, and it is a rare material that can only be made in Japan. I hope that the benefits of Bemberg, including what I have just mentioned, will reach even more consumers. "Make what we want to make, the way we want" - A way of enjoying work At Hikari Shoji, we aim to always enjoy our work under the slogan of "Do what you can be proud of in front of your family." When you have fun working and everything goes well with your work, you can naturally keep smiling when you return home. On the contrary, if your work does not go well, you are more likely to have a gloomy face and get into a bad temper at home, as am I. This disturbs the atmosphere at home. I want our employees to do things that they can proudly tell their family about, as in "Hey, I did something interesting today!" I feel that my work is fun and rewarding when something I have planned is accepted by the world. I therefore encourage our employees, saying "make what you want to make, the way you want." If they want to make something or have something in stock, basically they do not need the permission of the company, and the decision is left to the discretion of individual employees. You do not wait for others to tell you what to do, but you do what you want to do and sell by yourself - this is the most fun part of this industry. 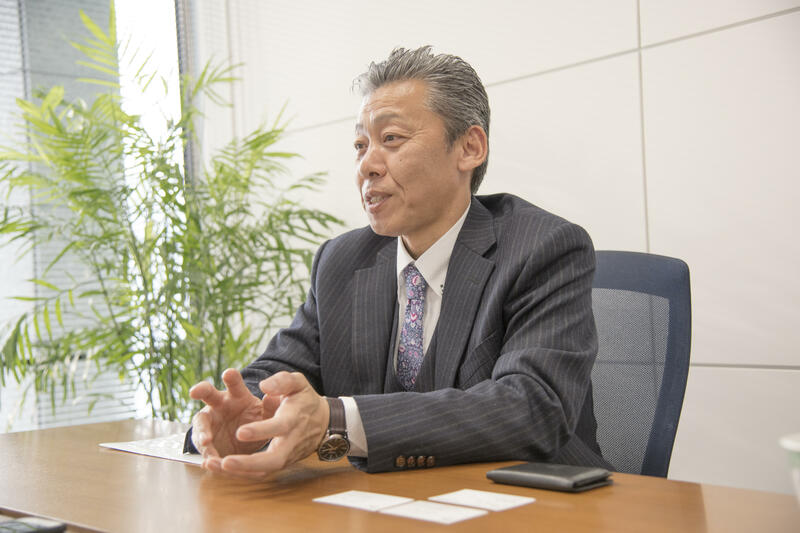 DNA of manufacturing in Hokuriku for the next generation Since the aging population is a social issue, the workers in the factories in the production center are aging too, with few young people entering the industry. If we do not have a factory to which we can outsource production, we cannot operate our business. It is therefore critical for us that they are able to continue their business. The only thing we can do to help them is to place constant orders. They currently receive a certain amount of orders, which is sufficient to run their business. To be honest, however, we are by no means free from a sense of unease as to whether we will be able to keep working in the future. Despite being called a declining industry, however, the textile industry has a long history, and I believe that it will definitely continue in the future. At the same time, I have a sense of responsibility that I must pass it down for posterity. Because our business has developed thanks to our partners in the production center, it is about time we gave them back. I would like to cooperate with them to invigorate the production area. 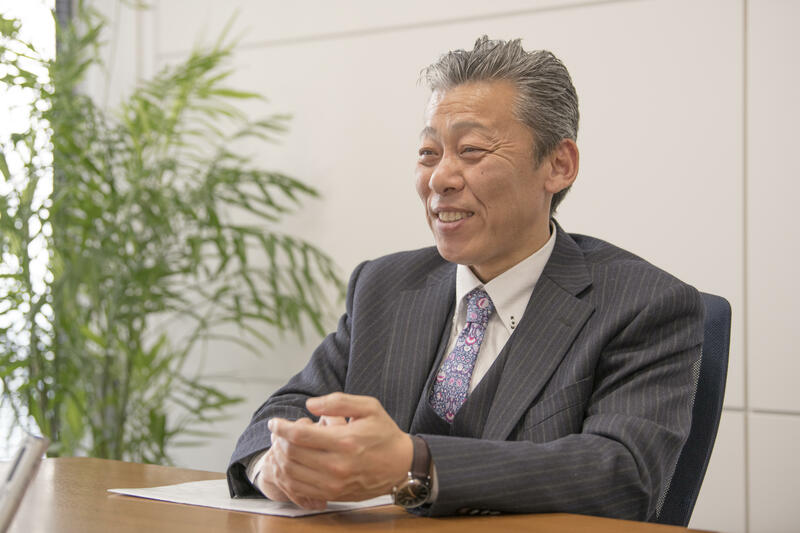 As Imabari Towel and eyewear products in Sabae, Fukui, for example, have successfully established their brands, if we can produce something from the textile industry in Hokuriku, it will stimulate the local industry and communities. The challenge in the future will be how far we can expand the connection with people who share the feeling for the production area. I would like to inherit the DNA of manufacturing in Hokuriku and pass it down to the next generation. 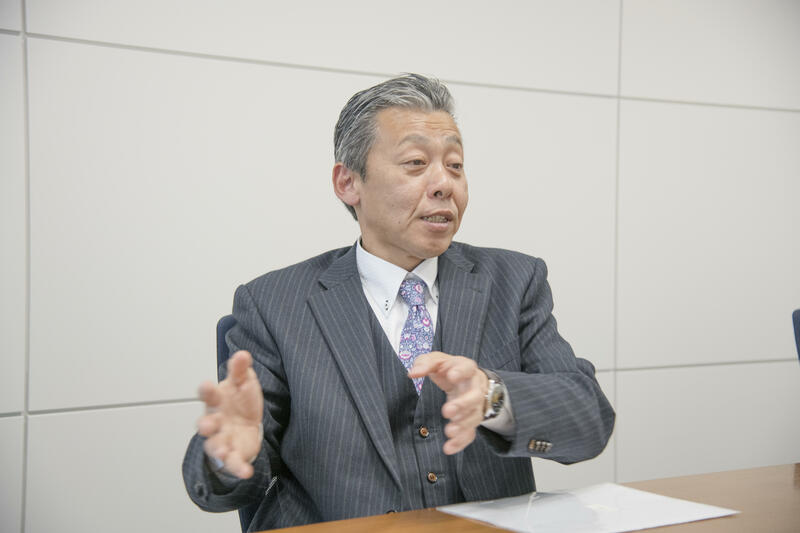 President of Hikari Shoji K.K. Hikari Shoji K.K. was founded in 1972 in Fukui, Fukui Prefecture. The company plans, develops and sells fabrics that are mainly made of synthetic fibers to apparel manufacturers and companies handling textile products. Under the corporate messages of "Do what pleases all the business partners!" and "Do what you can be proud of in front of your family," it offers products with new designs and new functionality.